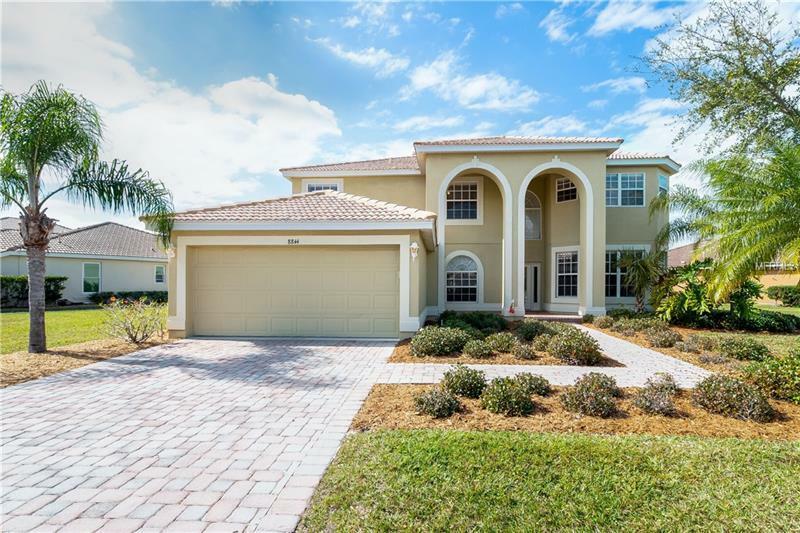 Family Home in Exclusive Golf Course Community You wonât want to miss this stunning home nestled on the golf course of the gated Heritage Harbour community. Enjoy room for the whole family with over 3300 sq. ft. spread across five bedrooms and three bathrooms. This home has fresh interior paint and new carpet. The kitchen has all new stainless steel appliances. As you step into the foyer youâll be greeted with tall ceilings and an abundance of natural light. The entire home boasts brand-new carpet new appliances and fresh paint while the main floor features an office/playroom and a family room as well as an open-concept living/dining area off the kitchen! Walk into the chefâs kitchen to see wall-to-wall windows that offer stunning views of the golf course and your inground covered pool and spa! The kitchen is built for the hostess with plenty of counter space custom cabinetry and additional seating at the breakfast bar. Upstairs enter through double doors into the spacious master suite that boasts gorgeous tray ceilings and a truly luxurious ensuite with an abundance of storage standalone shower and soaker tub. With the incredible amenities the Heritage Harbour community has to offer as well as the homeâs proximity to the interstate everything you could need will always be close by. This stunning home wonât last long. Schedule your private showing today!